The dōTERRA Emotional Aromatherapy Touch line contains six unique essential oil blends combined with Fractionated Coconut Oil in 10mL Roll-Ons for convenient and gentle topical application. These proprietary blends provide targeted emotional health benefits for the entire family and can be applied every day to specific points on the body to help balance and brighten your changing moods. Click here for more info on essential oils + emotions on doTERRA’s science blog! dōTERRA Motivate Touch provides gentle and quick application of dōTERRA Motivate mint and citrus essential oil blend. The fresh, minty aroma promotes feelings of confidence, courage, and belief. • Counteracts negative emotions of doubt, pessimism, and cynicism. dōTERRA Cheer Touch combines Fractionated Coconut Oil with the sunshiny, fresh aroma of dōTERRA Cheer essential oil blend. This convenient and gentle roll-on can be applied to the skin to counteract negative emotions and provide a boost of happiness and positivity when one is feeling down. Have you lost your why or passion for life? dōTERRA Passion Touch combines Fractionated Coconut Oil with the spice and herb blend of dōTERRA Passion to help you rekindle the excitement in your life. 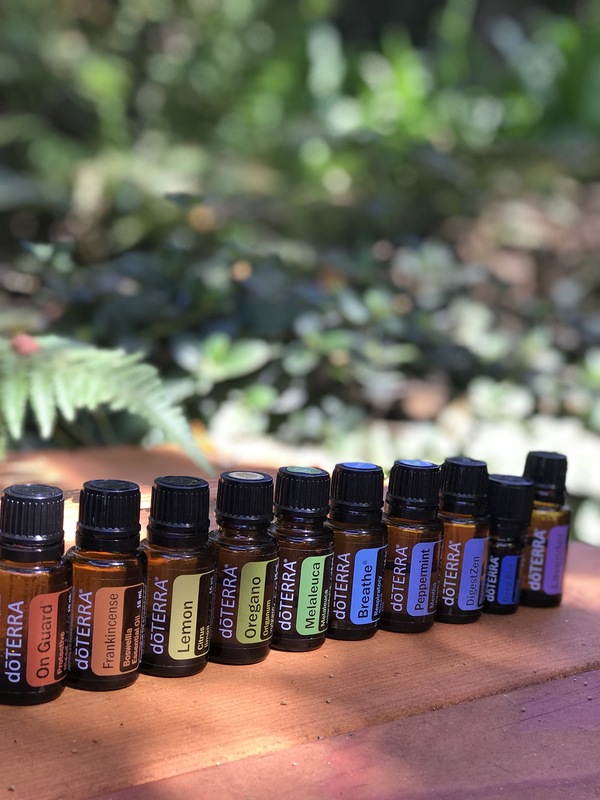 dōTERRA CONSOLE® TOUCH COMFORTING BLEND: $24.00 wholesale cost, $32.00 retail Losing something or someone you love can be deeply disorienting and painful. Words unspoken and questions unanswered may keep you worried and unsettled. doTERRA Console Comforting Blend of floral and tree essential oils will help you close the door on sadness and take your first steps on a hopeful path toward emotional healing. Bind your broken heart with doTERRA Console Comforting Blend. Features Frankincense Resin, Patchouli Leaf, Ylang Ylang Flower, Labdanum Leaf/Stalk, Amyris Bark, Sandalwood Wood, Rose Flower, Osmanthus Flower. dōTERRA Forgive Touch contains the tree and herb essential oils found in our proprietary dōTERRA Forgive blend along with Fractionated Coconut Oil for gentle application and ease of use. dōTERRA Forgive was developed to help you discover the liberating action of forgiving, forgetting, and moving on. In today’s fast paced society, it’s easy to feel anxious, overwhelmed, and fearful—no matter what your age. Use dōTERRA Peace Touch Reassuring Blend to promote feelings of contentment, composure, and reassurance when anxious feelings overwhelm your emotions. If you were to purchase each roller individually it would total $161.00 so with the discount and bundling as a set saves you $60 dollars! Plus, they have the updated stainless steel rollers…they don’t leak and they provide a more even, buttery application! All of doTERRA’s rollerballs will have these in the future! If if you are wanting the blends to diffuse — you can also get those individually or as an enrollment kit that includes the diffuser. See the wholesale link here to get started with this set.